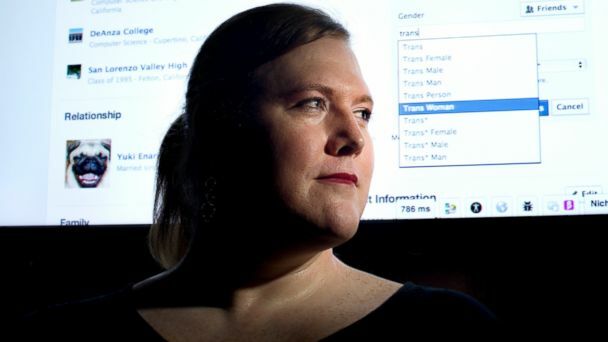 Facebook introduced dozens of options for users to identify their gender today - and although the social media giant said it would not be releasing a comprehensive list, ABC News has found at least 58 so far. Previously, users had to identify themselves as male or female. They were also given the option of not answering or keeping their gender private. User's can now select a "custom" gender option. "There's going to be a lot of people for whom this is going to mean nothing, but for the few it does impact, it means the world," Facebook software engineer Brielle Harrison told the Associated Press. Harrison, who worked on the project, is in the process of gender transition, from male to female. Facebook will also allow users to select between three pronouns: "him," "her" or "their."